After Digital TV and Digital TV Recorder, Airtel recently launched Digital TV HD service all over India. Airtel Digital TV HD service aims to compete with Reliance BIG TV HD DVR, Dish TV TruHD and SUN Direct HD service. The Airtel Digital TV HD service let the users to watch TV channels at a superior picture and sound quality. Airtel TV HD will provide up to 5 times better clarity when used with a compatible HD TV. Airtel announced attractive price plans and tariff package for new and existing customers Digital TV HD service. Watch video at extra high clarity: Airtel Digital TV HD supports 1080p HD TV streams on compatible TV sets. It maintains 16:9 aspect ratio for best on screen experience and has up to 5 time sharpness when compared to standard Digital broadcasts. Dolby Digital 7.1 surround sound ( Audio equipment required). HDMI port for connecting STB to HDTV and other media devices. 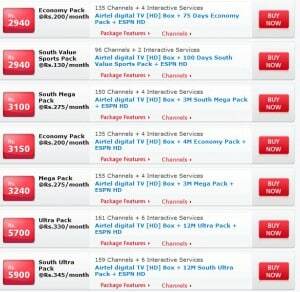 All features of Airtel Digital TV. 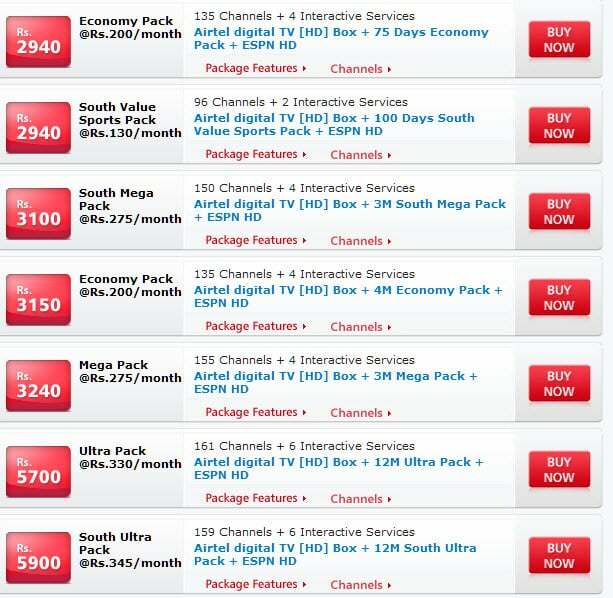 Airtel Digital TV HD is available at a staring price of RS 2940 with 75 day economy pack. The main problem is that we don’t have a enough HD channels in India. National Geographic, Discover and ESPN channels have HD versions, but Airtel offers only ESPN HD. You can still watch the FIFA world cup 2010 at HD quality, but may not feel the difference on other channels. However, the Airtel Digital TV HD STB comes with future ready technology, and it has backward compatibility.